That night, exactly forty years ago, I was too nervous – too frightened, really – to appreciate how well Muhammad Ali fought against George Foreman. 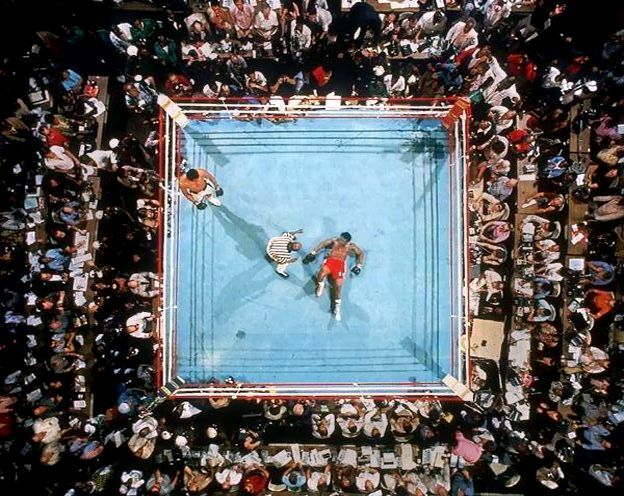 Like lots of other Ali fans, I’d had a grim feeling that he was going to lose, and lose badly. Tonight I watched the whole bout again – the US broadcast this time – right through to the knock-out punch at the end of the eighth round, and marveled at the skill, the daring, the ruthlessness. (Shame you can’t say the same for David Frost’s intrusive, wide-eyed ringside comments. American viewers definitely got the short straw that night.) Afterwards I pulled my copy of George Plimpton’s “Shadow Box” off the shelves. This entry was posted in Sport and tagged George Foreman, George Plimpton, Muhammad Ali, Rumble in the Jungle. Bookmark the permalink.